Continuing with favorite writers that I have recommended throughout the past three years, today I am reviewing the last book released by a favorite writer in the women's fiction with contemporary romance elements category: Lisa Dale. An unforgettable novel about love, forgiveness, and letting go. Nine years ago, Lauren Matthews prosecuted the case of a lifetime. But her error in judgment sent an innocent man to prison. Now Arlen Fieldstone has finally been released, and Lauren has only one thing on her mind: asking forgiveness. How can she make up for nine years of his life? To get to Arlen, Lauren must first get through Arlen's best friend, Will Farris, who hasn't forgiven her for destroying Arlen's life. 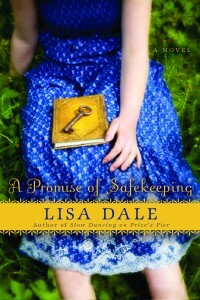 A Promise of Safekeeping by Lisa Dale is a character driven novel with complex characters, but not an overly complicated plot. 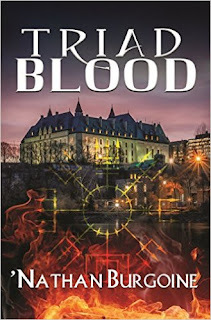 With this novel, Dale excels at digging into her characters' motivations and in keeping the reader glued to the pages to find who these people really are deep down inside. There are three main characters: Lauren Mathews, Will Farris, and Arlen Fieldstone. Plus there's Eula, Arlen's ex-wife, who serves as a strong secondary character. Lauren Matthews was hailed a prodigy when she prosecuted and won the case that sent Arlen Fieldstone to prison for a crime he didn't commit. Her successful career is based on that one case. When Arlen's case is retried, found not guilty and released after nine years in prison, Lauren begins to question everything about her life. There are reasons behind reasons for these questions, but the one thing she clearly knows is that she needs to ask for Arlen's forgiveness to get on with her life. Will he grant her what she needs? Arlen Fieldstone's life went on hold when he was nineteen years old and accused of a crime he didn't commit. He lost his wife Eula and his future. Arlen wants freedom but no longer knows what the word freedom really means. After nine years he continues to live in a prison made up of fear, anger and resentment. What does he have to do to find real freedom? Will Farris is Arlen's childhood friend. He never doubted Arlen and he's the only person there for him now. When Lauren walks through the door of his antique store, Will remembers her from the trial. His initial feelings for her are portrayed as a mixture of attraction and repulsion, dislike and personal obsession. Will's initial response is to protect Arlen and places himself between the two. However through daily contact Will's view of Lauren changes as do his feelings, and as she reveals herself to him, a key turns and he feels the need to open the door that will reveal to Lauren the real man behind the facade. But can he? In A Promise of Safekeeping, on the surface, Dale's characters don't seem to have anything in common but beneath it all they do. They are all holding on to feelings or things that imprison them just as surely as Arlen was imprisoned for those nine years. None of them really know what freedom means and it takes truth, forgiveness and love to free them. There is a rather dramatic scene at the end that I did not expect of such a well paced (I read this novel in one sitting) character driven novel, plus the end felt rushed and abrupt after the depth found in the rest of the story. However in this case, the ending did not detract from my overall enjoyment of A Promise of Safekeeping. As with her previous novels, I love Dale's prose in this novel. I can't say it enough, but she definitely has the touch when it comes to fusing contemporary romance and women's fiction, because yes there is a satisfactory romance between Will and Lauren. Plus what can I say about the fact that Dale brings a couple of interesting subjects including that of wrongful incarceration to women's fiction? This is a character driven novel and Dale's deft execution when it comes to creating complex characters comes through. Recommended. Visit Lisa Dale here. Read excerpts here. I remember seeing this on NetGalley a while ago (at least, I think it was this book) but I had no idea what it was about. It sounds very interesting with really strong characters! Alex there's excellent characterization in this novel. There's also a sense of connection between the characters themselves and that translates to the reader. I've had this book in my TBR since it first released and frankly didn't expect to enjoy it this much. It was a surprise to me.